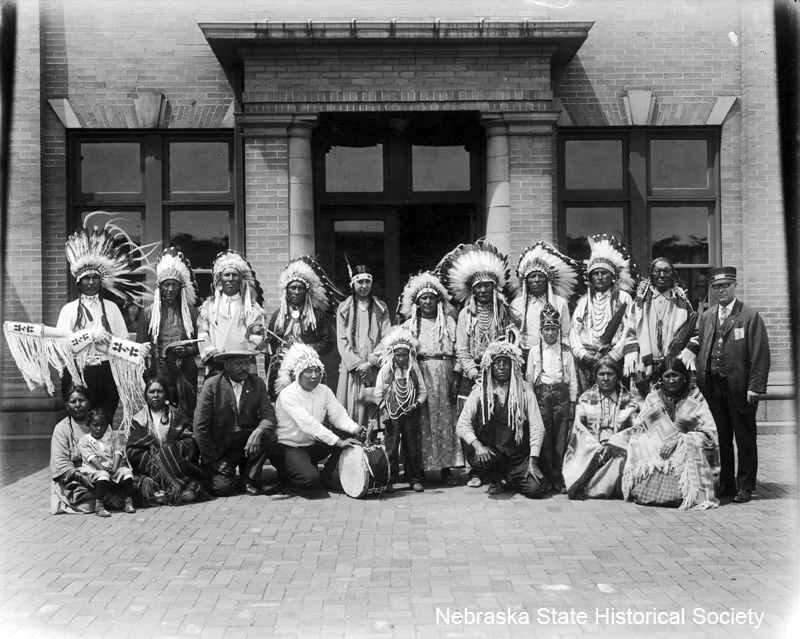 Dressed for a post-harvest dance, Lakotas pose at the Burlington depot in Alliance in the 1930s. NSHS RG2063-50-1 (at left). A potato cellar in Box Butte County, 1917. Potatoes had to be picked and stored before the first hard freeze, which would spoil any unharvested potatoes. 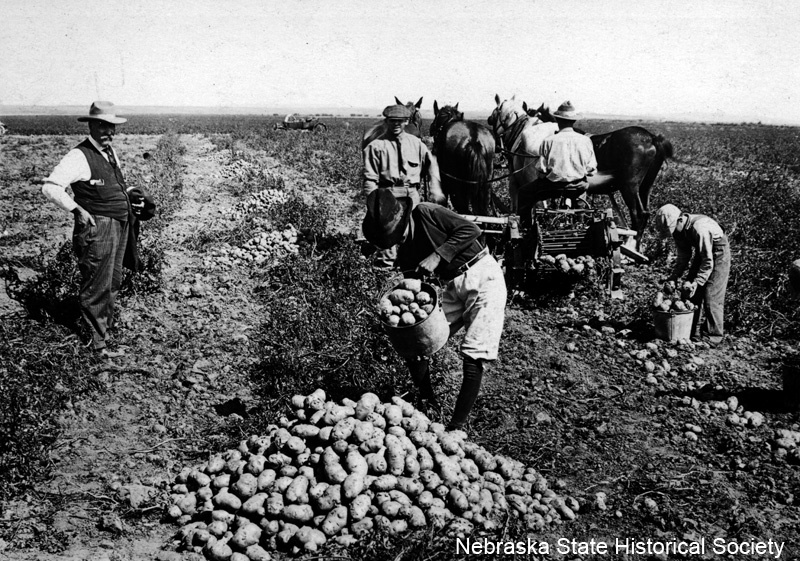 The western Nebraska potato industry developed in the early twentieth century, but had largely faded by the 1960s. NSHS RG3152-3-17 (above). Harvesting southeast of Alliance. Digging potatoes was notoriously hard work. Many Lakota workers (not shown here) picked 100 to 150 bushels a day. An excellent picker could pick up to 200 bushels or more in a day. NSHS RG1431-8-24 (above right).